Comparing A Convection Microwave & An Oven Toaster Griller (OTG) / Differences Between Convection Microwave Oven & OTG .Microwave oven vs OTG. Watch the video above! My previous post What Kind Of An Oven Should I Buy? was about the different options available in India, what factors you should consider when you plan to buy. So lets narrow down the choice to a convection microwave and an OTG and see how these vary. I know, I say this ever so often, I have used both these ovens ( LG convection microwave and Morphy Richards OTG*, read note below) and I personally do not find a great deal of difference between the two. Both taste and texture-wise. But yes, they certainly do differ the way they work and they way you would be able to use them. So let us compare them side-by-side! Pre-heating : About the pre-heating time, whenever you bake anything in a convection microwave or in an OTG, you would need to get your oven to the temperature specified in the recipe before you keep your cake or cookies inside the oven and this is called as ‘pre-heating’. Pre-heating in a convection microwave takes about 5 minutes. OTGs normally take about 15-20 minutes to pre-heat. Do get an oven thermometer,I use one from Taylor* (also check FoodPro Plus by Raytek) as OTGs often heat up more than what is indicated on the knob. Also, it will help you find out when exactly your oven reaches the temperature you need to set it to. I find this fast pre-heat feature extremely useful when I want to bake in a hurry, say some warm muffins for the kids in the morning school rush. Or when you when my cake batter is almost ready and I realize I forgot to pre-heat the oven! Temperature & Timer Both an OTG and a convection microwave can be set to a maximum of 250C, so worries on that count. And even the timer sets for about 90 minutes in a convection microwave and the same in an OTG. And OTGs normally come with this feature called as Stay On or Timer Bypass which allows you to keep the oven switched on till you turn it off manually. And you would not be able to do this in a convection microwave. This stay-on or timer by-pass is especially useful when you want to bake meringues or make some oven-dried tomatoes. But unless you make these day in day out for a living, you don’t really need to be worried about this feature! Bakeware : A convection microwave, on convection mode, works just the same way as an OTG does, so the bake ware you would be using in a convection microwave and in an OTG would be the same, so no worries on that count, but the size of the bake ware does matter when you are using a convection microwave because the turntable is small and it also keeps rotating, so you can’t really place really large tins in a convection microwave, whereas you could do that in an OTG. Even baking : When you bake in an OTG, there is this fan by default, which circulates the hot air and makes sure that the food bakes evenly. And then there is also the turn-table which constantly keeps rotating, and helps your bakes bake more evenly. And the bigger OTGs also do come with fans but you may not be able to use this feature to your advantage because as sometimes its tricky to use. Functionality: In a convection microwave can cook, re-heat and also bake , grill and do just about everything in a convection microwave. Whereas in an OTG, you would be able to toast, grill and bake your food, but you would not be able to cook or re-heat your food in an OTG. Capacity : the maximum capacity in a convection microwave would be about 32 liters, whereas the OTGs go up to around 60 liters in capacity, so that you could bake a lot at one time. So at the most, in a convection microwave, you would be able to bake 1 cake or 1 loaf of bread or 1 sheet of cookies. So imagine baking cookies for your kids class party!! And in an OTG, you would be able to bake on multiple levels, you could bake 2 cakes or multiple trays of cookies at a time. Wallet effect : And for about Rs.10,000 you would be able to get an OTG of about 40 L, whereas a convection microwave of about 32 L would cost you about Rs.16,000 upward. Controls & Display: The controls and display in a convection microwave is mostly digital, whereas in an OTG, the controls are always manual. I find this digital display especially useful when I bake crackers or ice-cream cones and other very delicate cookies and I could set my timer to, say, about 10 minutes and 40 seconds once I figure out the baking time, whereas in an OTG, I would not be able to set it as precisely and I would have to watch it like a hawk! Weight : Convection microwaves are very heavy, so you would not be able to move it around, or keep shifting it as and when you need it, so this means that you would need to have a permanent place for it in the kitchen. The OTGs are much lighter compared to a convection microwave and you could actually keep it under the dining table or may be in your garage and use it as and when you need it if you are really constrained for space in your kitchen. Ease of use : a convection microwave is I think is much more simpler because there is just 1 rack and there is only 1 mode of baking in a convection microwave. But in an OTG, there are different modes of baking, there are different heating elements you could switch on, with the fan or without the fan and this could be an advantage or a disadvantage, the way you use it. And there are also multiple racks in an OTG, so you would need to figure out which rack works best for you. 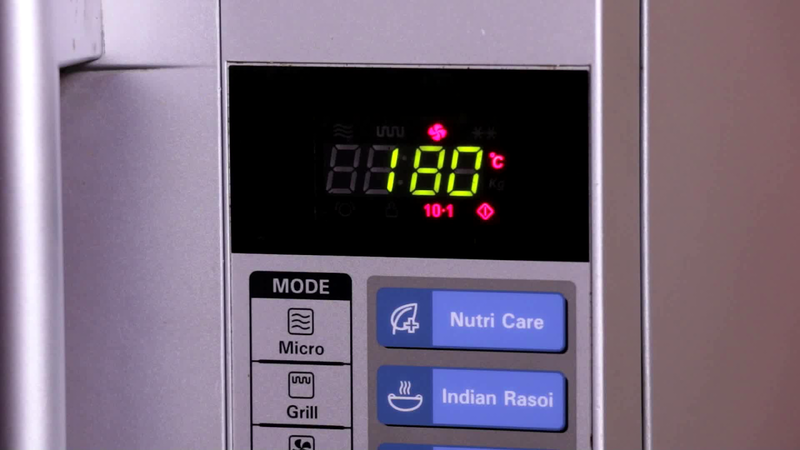 A convection microwave is less temperamental as compared to an OTG. But then with some time, patience and practice, you will figure out how to use your OTG. So do consider all these things, your requirements and your needs, before you decide if you want to buy a convection microwave or an OTG. 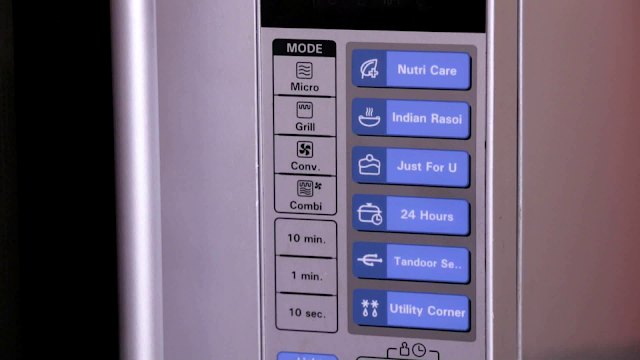 And if you do decide to buy a convection microwave, please do watch my video on how to use a convection microwave. Based on recommendations from my baker friends you can also consider Bajaj* OTG. Disclaimer:*This post contains affiliate links. This means if you click on the link and buy through the link, I will earn a tiny commission on the same. I recommend products which I have used and found good.You will be paying the same price as mentioned on the website, there will not be any variation here. This commission will help me with me costs of running the blog and channel. Your support will be greatly appreciated. very helpful post!!! appreciate your research.. I have an LG convection microwave that I use quite regularly for baking as well as reheating food. As you said, the size of the oven can be a limitation only if one does a lot of heavy duty and/or large scale baking. Do you have any comments on the high and low stands/racks that come with the convection MW for baking versus grilling purposes? I find them very flimsy and was wondering if there's a better option? Thank you Manju! I use the low rack for baking, the high one for grilling. They are flimsy,I wish they made these more sturdy. I think the rotating turntable is a plus as it aids even baking. A common person aware about these differences they treat all three as microwave ovens. So you are putting some nice information for the users to understand. Appreciate your meticulous research that resulted in such a fantastic article. I plan to buy a convection microwave oven soon. Many models in the market have a temperature limit upto 200°C only. Is it enough for baking purposes? 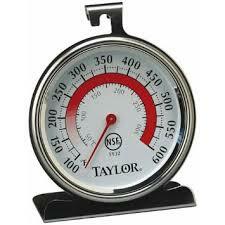 What items may require a higher temperature setting? Thank you Nil! 200C is not enough, the max temperature must be atleast 250C if you want to bake pizza. I have a solo MWO, where I'm unable to do some thing new with my dreams, n forced to use other GAS / Induction Oven. I'm also confused about ,what to buy next, an OTG or Conv-MWO ? But after going-through your article / post. I purchase an OTG....where there is NO-Limitation. Thanks again for sharing such topic, which helps others( like me) a lots. 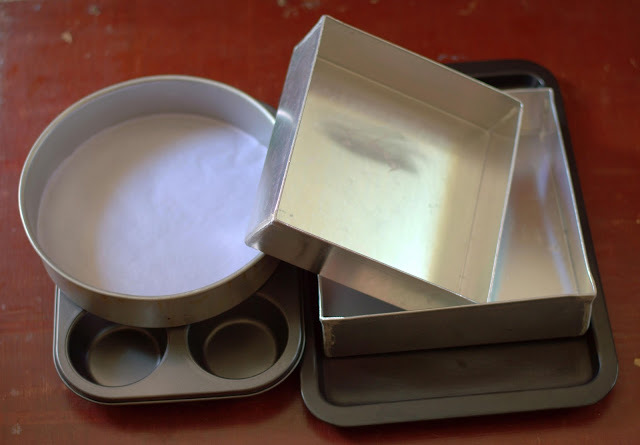 I have a convection micro since 4 years.. Haven't used it for baking till now.but I will certainly use it now. Thanks .. Appreciate your research. Great article! I stumbled upon this article as i'm a lot into baking be it breads, cakes, pies etc. and i was looking for answers to how it affects the final product. Do cakes, breads and crispy things like pie and tsrts come out better in OTG? I have an LG 30 ltr MW and have been baking in that fr 2 yrs now. Plz suggest im desperate to know and have been looking for buying an OTG too. Is that advisable or a microwave is good enough.